Mountain bike technology is never stagnant, with bike makers pushing the envelope year after year. Lately, manufacturers have turned their focus to making bikes more versatile than ever. 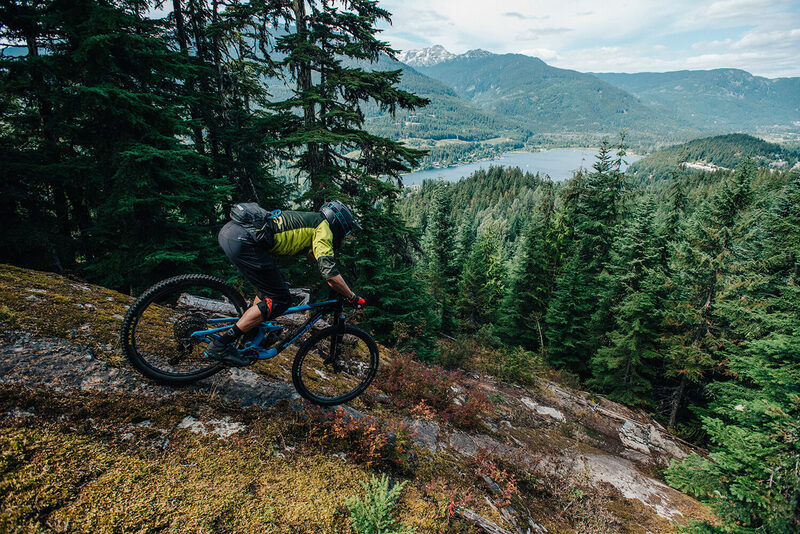 Trail and all-mountain mountain bikes continue to take cues from enduro racing, adding additional suspension, but retaining a focus on pedalability. Likewise, 29ers are on the rise once again, and plus size tires have found a happy medium that is great for some riders. Follow along to explore all of these 2018 mountain bike trends. Whereas 160mm used to be the “ceiling” on all-mountain bikes, bike makers are stepping up the travel, introducing 170mm travel models. These bikes give riders even more performance on the downhill. Bikes like the Santa Cruz Bikes’ Nomad, Devinci Bikes’ Spartan, and Transition Bikes’ Patrol all fall into this newer beefier category. These new and revised models offer plenty of bike for most riders taking on the bikepark. Many trail bikes are following this trend, too, getting more suspension as well. Bike like the Yeti Cycles SB5 Lunch Ride, Devinci Django, and others fit this bill. Subtle changes to these bikes’ geometry have helped to keep them nimble and pedal-friendly for climbing, while the added travel gives them more cushion for tha pushin’ on descents. 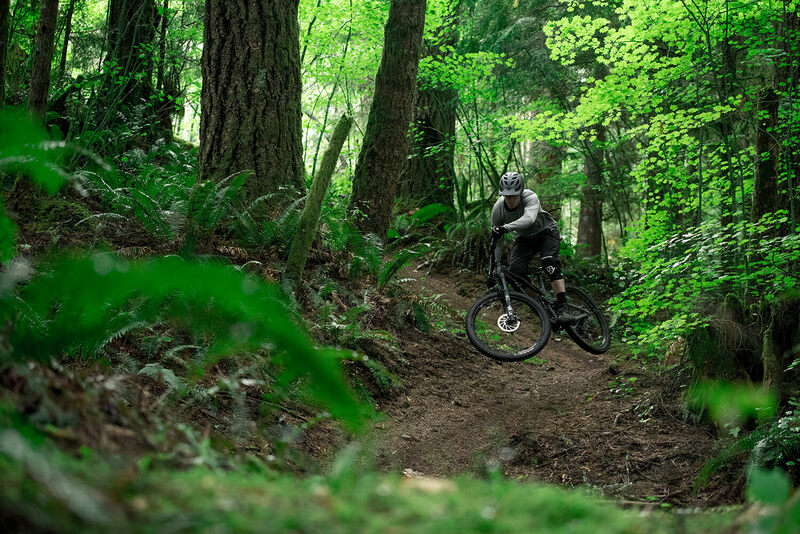 Whether riders choose to run a trail bike vs all mountain bike will still come down to what types of rides they plan to conquer, but the bottom line is that these bike are getting bigger, more capable on descents, and more fun. 29ers are back… again, but this time, they’re way more fun. No longer are big-wheeled models stuck with old-school geometry, this resurgence has come with modern slacked-out designs. A quickly growing segment of aggressive bikes like the Evil Wreckoning, Santa Cruz Hightower LT, Transition Sentinel, and Yeti SB5.5 are pushing the limits of what is possible on a trail bike. We think Evil’s description of the Wreckoning captures this pretty well, saying “the idea of the Wreckoning began with the idea of a bike that could shred the down like a true DH bike and still pedal pedal up, but retain the sports car feel.” These longer and more aggressive monster trucks are extremely fast, stupendously stable, and shockingly responsive – as long as you can keep those big mountain bike wheels spinning! Fat bikes quickly gained a cult-following, though they’re largely remained aloof in their own niche. Though you want see 4” wide tires taking over your local trails, tires are getting fatter on most mountain bikes. These wider mountain bike tires give better traction, and a cushier ride. As it turns out, plus-sized 27.5” tires are nearly the same size as normal 29er tires. Thus, bike companies have given riders the ability to run either 29” wheels OR 27.5” wheels with plus sized tires. 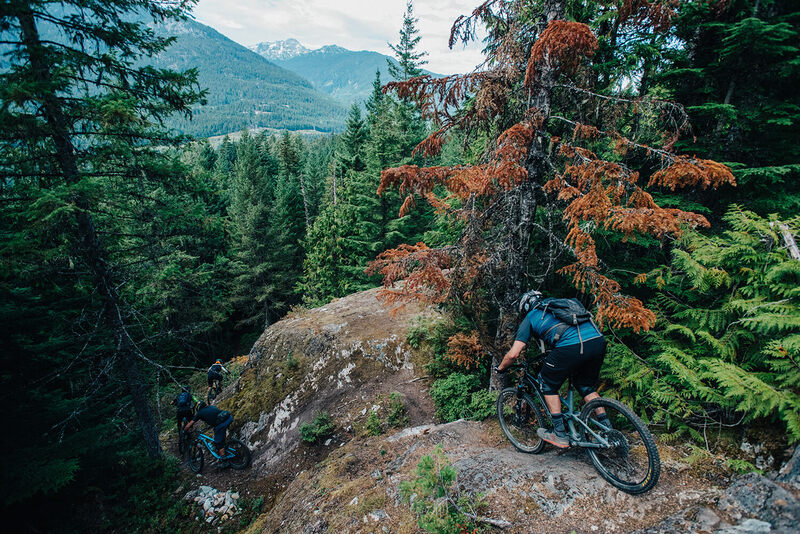 While these trends might seem like they’re only beneficial to riders that prioritize the descent over the ascent, in reality they really just show the way in which mountain bikes have become more tuned in to perform well everywhere, climbing and descending. Thanks to advances in suspension design and mountain bike geometry, brands are able to add more suspension without sacrificing ride quality. This make a more fun and more capable bike. Look out for these bikes and others like them on your local trails this summer! We are evo – a ski, snowboard, mountain bike, surf, wake, and skate retailer based in Seattle, Washington, USA, with stores located in Seattle, Portland, and Denver. We also offer trips to remote locations across the globe in search of world-class powder turns, epic waves, and legendary mountain biking through our evoTrip Outdoor Adventure Vacations.